See Also: Exclusive to the live action Sailor Moon. In Brief: After the world had been destroyed, Usagi/Sailor Moon/Princess Serenity uses the Imperium Silver Crystal to return everything to normal. 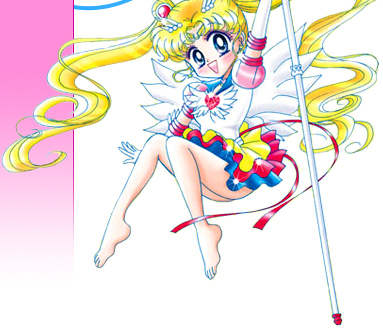 The use of this power destroyed the crystal and took the lives of Usagi and Mamoru in the process. Cultural: "Strictly speaking, white is not a color, but the manifestation of the presence of all color - the complete energy of light. It stands for wholeness and completion. In many cultures it represents openness and truth. White has a cold quality. It can provide clarity as its energy is complete. White has purification vibrations and can be used to clear blocks from your path. It holds the potential to move toward every other color and this makes it a good choice for new beginnings, and development in any direction. White gemstones are ruled by the Moon and are associated with sleep and psychic energy. They are often used for good fortune, protection after dark. The crystal amplifies the powers of other stones. Some say that because white stones contain all the colors, they can act as substitutes for stones of any color." The Move: Mamoru and Usagi kiss as together they activate the Imperium Silver Crystal and Usagi uses it's power to heal the world. A giant white light blasts from their bodies that transforms into giant white ribbons that wrap around the planet and cover it in a white glow, returning everything to normal. 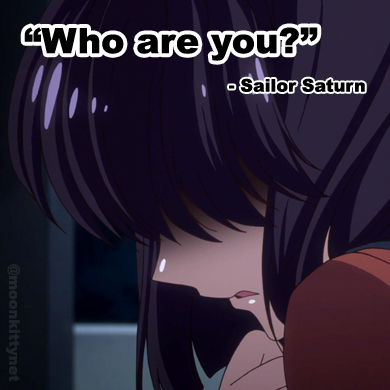 "When do Sailor Moon and Tuxedo Mask get together?"